Welcome back and thanks for stopping by! This is Georgiana from Carson's Creations and today is my day to share one of the stamps from Craftin' Desert Diva's stamp line. I selected a super fun one from the School Zone set. That seems to be all I have been thinking about...school and books and lesson plans. 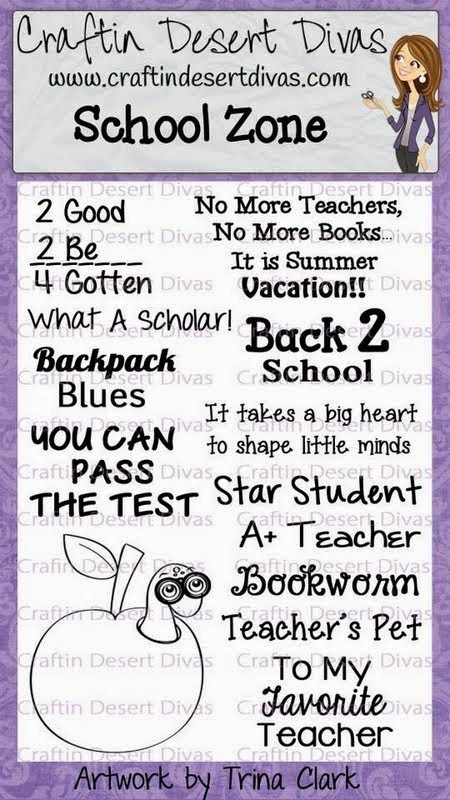 I am really eager to get started next week and meet my students! 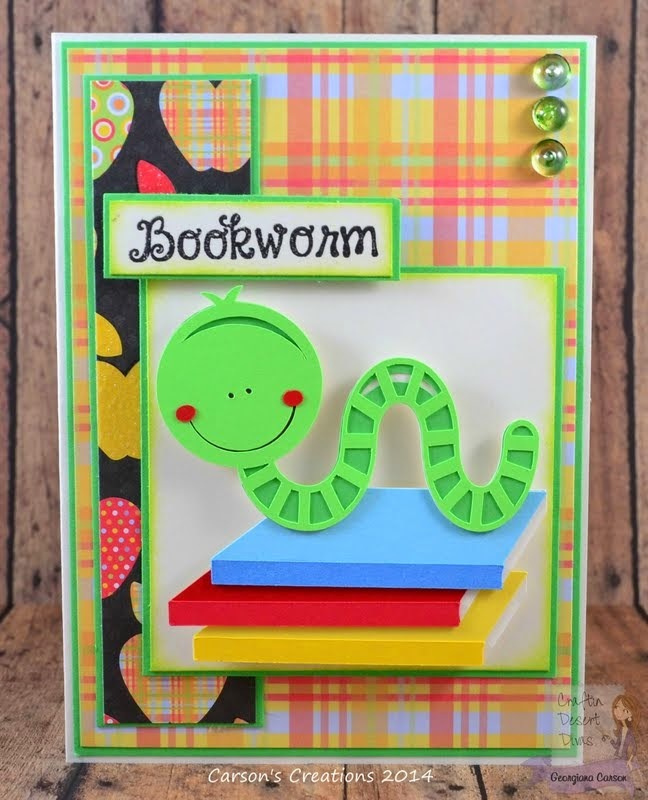 Doesn't this worm on the pile of books match that sentiment perfectly! Loving the font on this stamp! If you haven't purchased your set yet, be sure to order yours today! For additional information please visit my blog! So absolutely adorable!! So colorful and fun!! Love it! This is so stinkin' adorable. I keep kicking myself that I haven't purchased this set yet. One day soon I'm going to have to break down and just do it. So adorable! 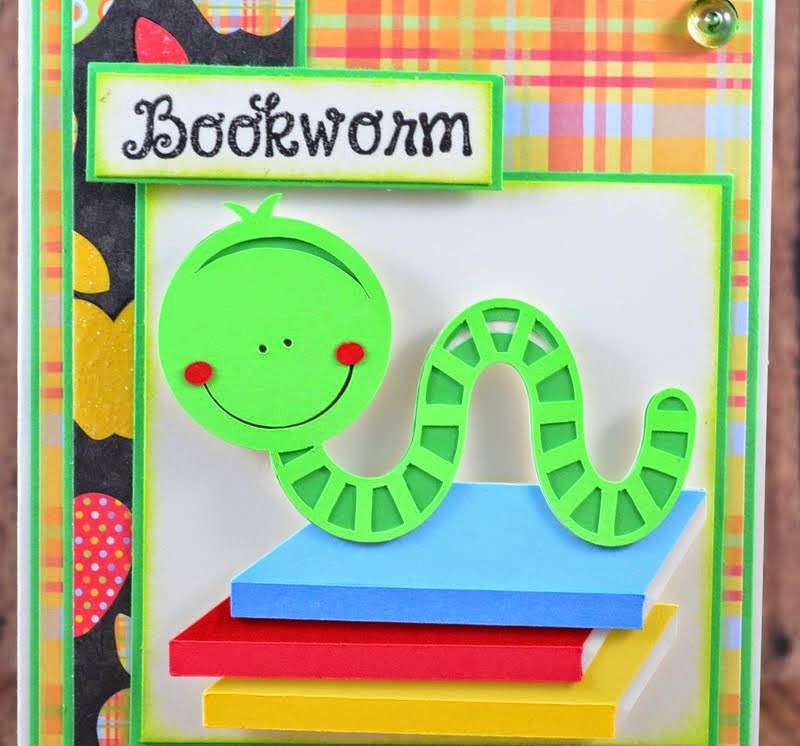 Love the bright happy book worm!